Are your lazy days of summer not so lazy? For a lot of moms, the summer season is anything BUT lazy! Since we have an older kid, I don’t have to worry about planning activities for him during the day, but I still have to make sure he’s taken care of and has lunch and snacks for the day (and this is in addition to my other regular duties of making dinner, working, and taking care of the house). And then in July when band camp comes around, look out! For my husband and I, band camp starts early, ends late, and is basically a day of driving back and forth. Since I do most of my work at night and generally get very little sleep, a day of driving back and forth is definitely not good for me! By the end of last year’s band camp, I think I was more tired than Noah! I’ve always been known as an energetic person…people are usually amazed at how much energy I have, but as I’ve entered my 30’s I am starting to feel (dare I say it?) older and with everything I’ve got going on, my energy levels are sometimes zapped to virtually nothing! But I’m working to combat this! One key way to boost energy is with Energy Boosting Foods! 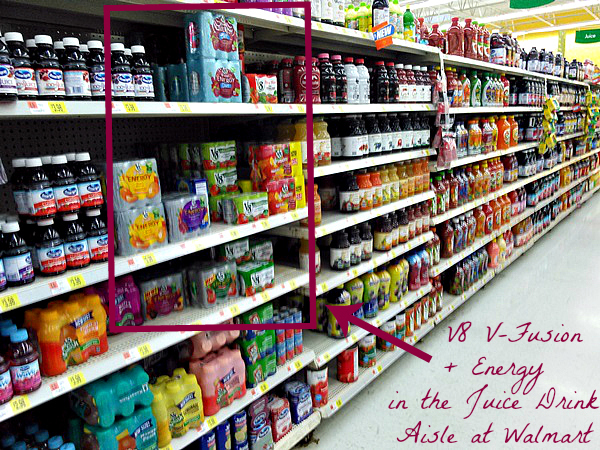 You can find V8 V-Fusion + Energy in the juice drink aisle at Walmart an at Walmart.com. 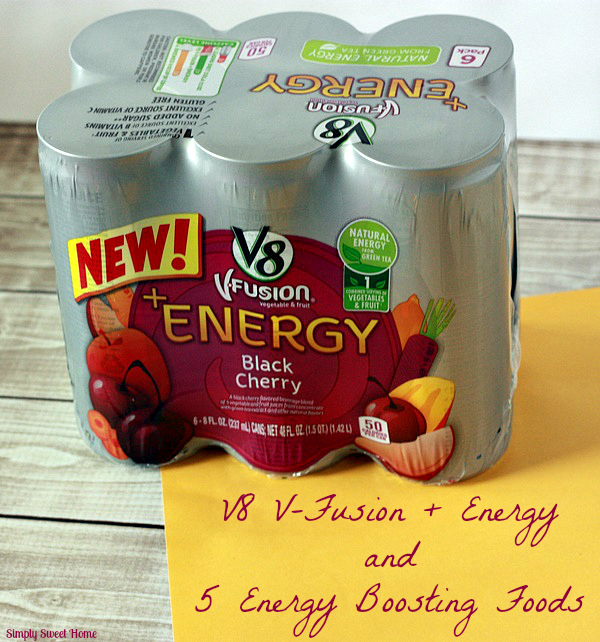 What other foods can you enjoy when you’re in need of a natural energy boost? 1. Fruits are a great source of fiber and carbohydrates. Fruit contains natural sugars to give you a gradual boost of energy without a crash. Eating fruit is also a great way to stay dehydrated, as they contain a lot of water. They are also a good source of many vitamins and antioxidants. When I need to get going in the morning, I enjoy a banana or pineapple. 2. 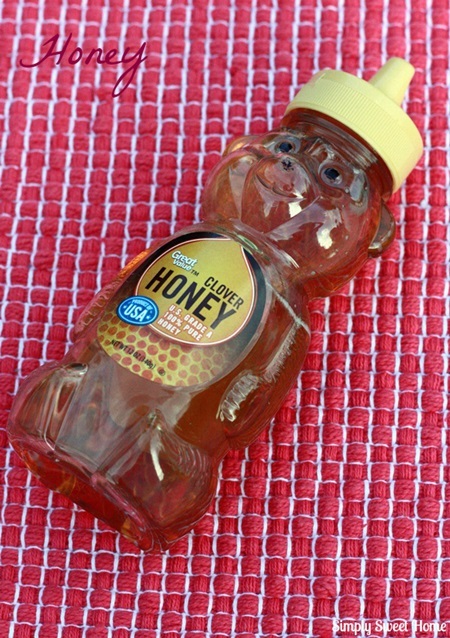 Honey has so many super food properties! 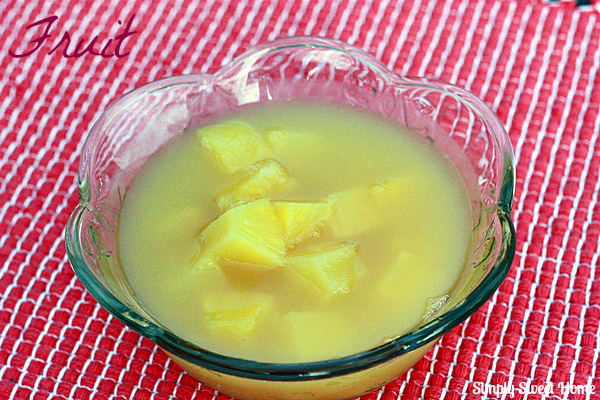 Along with having anti-microbial an anti-inflammatory properties, it is also packed with carbohydrates. Spread a little honey on a piece of whole grain toast for a sweet, yet healthy breakfast, and throw on a little peanut butter for a protein punch! 3. 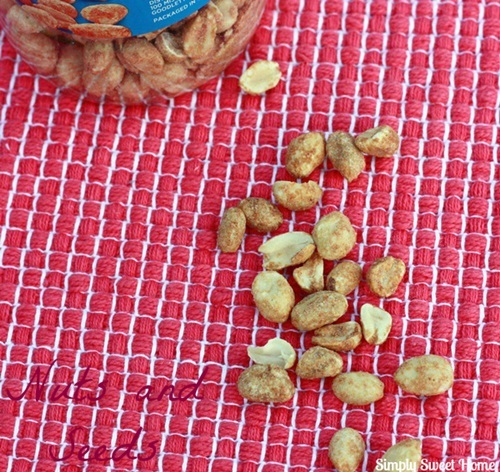 Nuts and Seeds are a great source of fiber and protein, as well as essential vitamins and heart-healthy fats. 4. 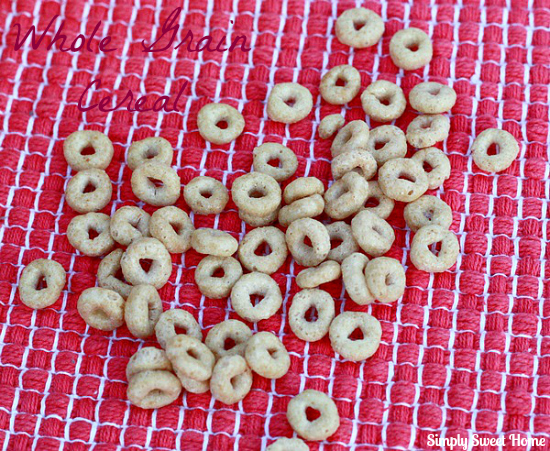 Whole Grain Cereals are a great way to start the day. They are packed with complex carbohydrates and fiber that your body can absorb and use slowly, without the spikes that come with sugary cereals an sweets. And this also allows your body to absorb the cereal’s other essential vitamins and minerals. 5. 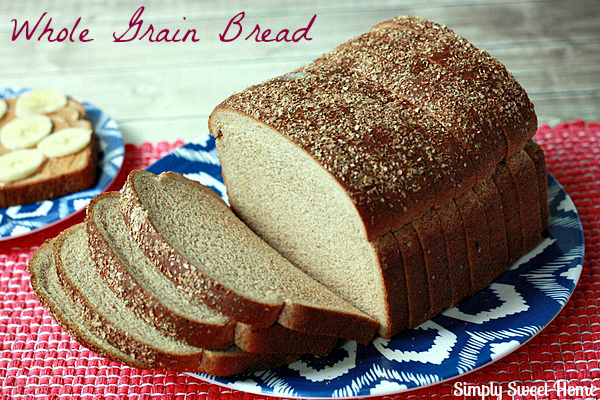 Whole grain breads have the same properties and benefits as whole grain cereals. Adding a little peanut butter or hazelnut spread and a few slices of fruit makes for deliciously healthy breakfast-on-the-go. Giveaway! 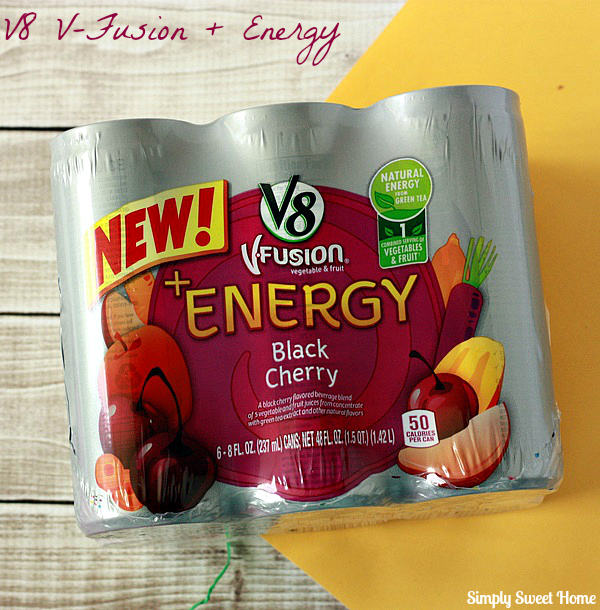 Enter to win the V8 V-Fusion + Energy $2500 Sweepstakes!